Alabang-Zapote Road is a long stretch of oftentimes congested roadway that links Zapote, Las Piñas to Alabang, Muntinglupa. One is inclined to think that traversing Zapote-Alabang Road is safe enough since it’s quite a busy road with policemen, traffic aids and barangay tanod peppering the route. On the contrary. I was busy preparing dinner when D2 called at around 4:33 P.M yesterday. She said that she was victimized on the jeep en route to Zapote. She was fine et al but lost her pouch of chargers, USBs and other laptop/iPhone paraphernalia. That she was currently on board a police mobile car with the suspect in tow. Huh? Rewind please. D2 got off from work at 4:00 P.M. Wanting to beat the afternoon rush hour; she opted to ride an empty jeepney near West Gate, Alabang going to Zapote, Las Piñas. Near Alabang Hills, a group of passengers flagged down the jeepney and boarded. D2 was sitting by the jeepney’s rear entry point. Seated directly in front of her was a fat guy and beside that fat guy was a man wearing black shirt. Let’s tag the black-shirted man as Guy 1. On D2’s right side was Guy 2 then Guy 3. The moment Guy 3 seated himself, he started belching and heaving, ready to vomit. After a hundred meters or so, Guy 3 decided to alight since he was about to vomit (allegedly). He made a big show of gagging on his own vomit in front of D2 then got off at Toyota Alabang. The fat guy alighted too so Guy 1 was now sitting directly in front of D2. Guy 1 quipped: “Miss, may suka po kayo”. To which D2 replied “anong suka?” as she thought there was no way Guy 3 could have vomited on her. To D2’s horror, she realized that her shoulders, hair and bag had saliva (vomit?!) all over! Guy 1 was very solicitous in trying to wipe off the “vomit” from D2’s bag. D2, on the other hand, kept on telling Guy 1 to stop helping her as she was starting to have this nagging feeling that something was amiss. Guy 2, the one sitting beside D2, was seemingly fidgeting and fiddling as D2's bag was being purposely and forcefully pushed towards Guy 2. Guy 1 was trying to flip over D2’s bag and kept on saying that there was still spit on the bag’s back. The high school students pointed out to D2 a mobile car parked along the road. D2 got off near Lozada and ran to the mobile car to tell her story. The very efficient policemen quickly asked D2 to get on the police car hoping to spot any of the cohorts along the road. A few meters away, D2 spotted Guy 2 riding another jeepney. She quickly told one of the policemen and they raced to cut-off the jeepney. To cut short Guy 2 was apprehended. He called his cohorts and told them to give back D2’s pouch. 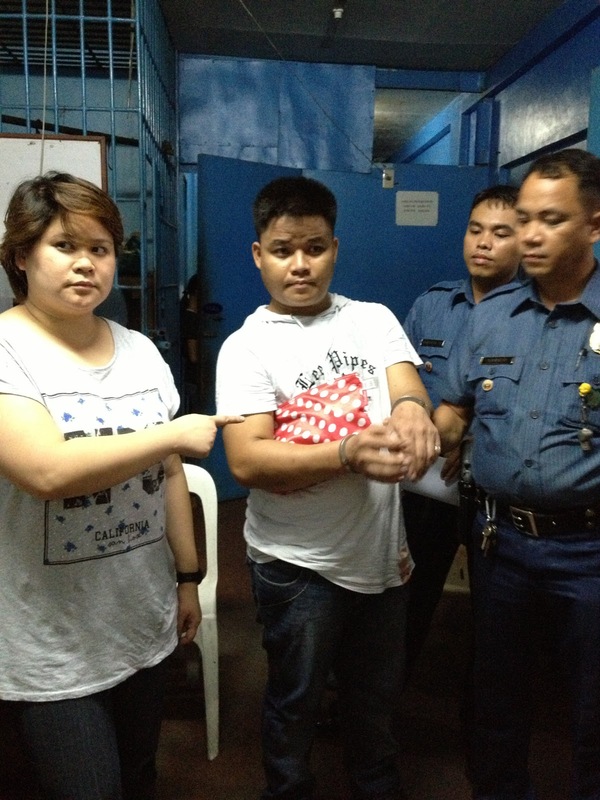 The accomplices left D2’s pouch in the restroom of Jollibee Casimiro so D2 was able to recover it. By the time my son and I reached the sub-station, I was quite decided to tell D2 not file a formal complaint against the culprit. I even talked to the suspect and was quietly “sermonizing” him on the demerits of what he has done. 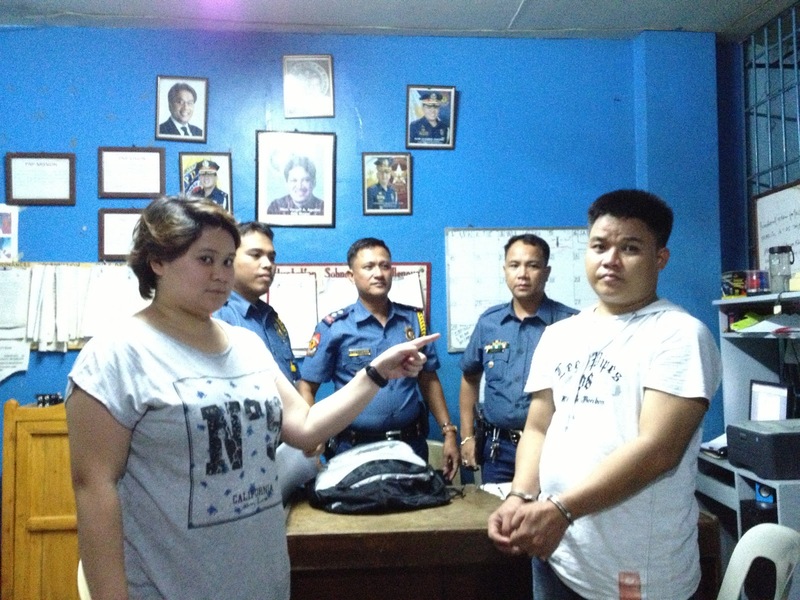 The commanding officer of the sub-station encouraged us to lodge a complaint against the suspect since the so called Dura-Dura gang has been terrorizing commuters in and around Las Piñas for some time now. After 5 hours, we were finally able to go home - tired but wiser about double-word-entry MOs: budol-budol; dugo-dugo and dura-dura. That guy stole my iPhone, together with 5 more of them when they harrassed me on a jeep saying "may dugo na yung likod ng shirt mo!" Scene Loc: From BF Almanza until I got of the jeep at Moonwalk overpass. Jeff, better go yo LP city hall theft and robbery division and look for officer Uy to report your case. RC Cola: Mad, Mad, Taste!